Celebrating over 30 years of service in Wichita! 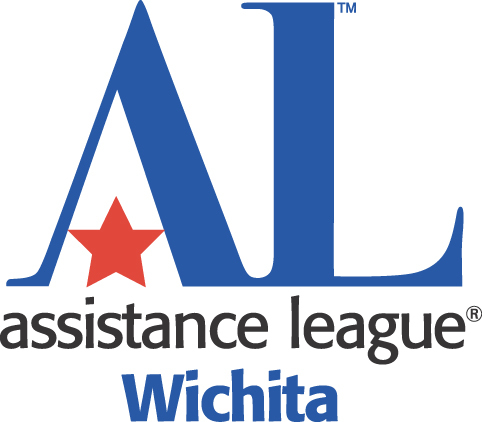 Assistance League of Wichita is an all-volunteer, 501(c)(3) nonprofit organization that is transforming lives and strengthening our community through philanthropic programs in Wichita. Member volunteers are dedicated to ongoing support and a long-term presence in the community through hands-on involvement and innovative philanthropic programs. The Wichita chapter was organized in 1984 with about 30 members, chartered in 1987. Today, there are 120 Assistance League chapters in 26 states with over 23,000 members. In 2014-15, Assistance League chapters served 1.5 million people, returned over $38 million to local communities and invested ~3.2 million service hours. Assistance League of Wichita currently has ~160 member volunteers working to make Wichita a better place to live and work through our programs. Assistance League of Wichita supports four community based philanthropic programs benefiting everyone from infants to adults residing in Wichita. In 2016-17, our dedicated members volunteered over 28,500 hours. We encourage you to learn more about our chapter and the many ways you can become involved and make a difference. The Thrift Shop on Douglas is our main source of funding. The shop is staffed and managed entirely by our member volunteers. Donations are always welcome and are tax deductible. Other funding sources include corporate and private foundation grants and individual donations. Assistance League of Wichita, a chapter of the National Assistance League, is a nonprofit organization of volunteers dedicated to putting caring and commitment into action through community-based philanthropic programs that address the needs of the Wichita community. Assistance League aspires to meet the challenging needs of individuals in communities across the nation. Our annual report is available after June 1. We are proud to announce that we have been increasing our support of our philanthropic programs over the last three years (2015-18). We aim to minimize our management budget and maximize our support for families and children in Wichita. We maintain the operational support in reserve as required by National, yet continue to look for ways to better serve our community and our donors. Aware of the fiduciary responsibility for funds entrusted to our use, we follow the Better Business Bureau Wise Giving Alliance Standards for Charitable Accountability. A summary of our annual fiscal report is also available on GuideStar and Great Nonprofits.org. Following our mission to put caring and commitment into action through community-based philanthropic programs, 75% of our total expenses in fiscal 2016 were spent on program services for the Wichita community. Our financial reports show that we have steadily increased or maintained our support for programs over 72% of our budget for the last three years. Assistance League of Wichita members are available to conduct tours of our facilities for you or your organization and explain how our various programs create a better community. Members can also provide fashion shows, modeling top-label clothing for sale in our thrift shop. Call (316) 687-6107 for information. Assistance League of Wichita is an all-volunteer, 501(c)(3) nonprofit organization that is transforming lives and strengthening our community through philanthropic programs in Wichita, Kansas.